"The future for psychologists in California entail an ever changing healthcare landscape, an immigration crisis impacting our communities, graduate students facing a continued internship imbalance and sky high tuition forcing them to make difficult choices regarding their future in our field, academic institutions facing higher accreditation demands, an aging and more culturally diverse state demographic, the need for a more diverse psychology work force, moves toward more stringent licensing criteria, telepsychology, social media, competition from other mental health professionals, and the on-going challenge of membership retention and recruitment are some of the areas we must influence." Dr. Wong is also the Director of the Behavioral Health Services at Asian Americans for Community Involvement (AACI), the largest nonprofit health and human services provider focused on Asian Americans in Santa Clara County. He serves in countywide oversight and policy development committees for the Mental Health and Alcohol and Drug Departments. 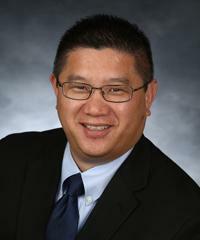 At the state level, Dr. Wong serves on the Consumer and Family Leadership Committee of the MHS Oversight and Accountability Commission, the Advisory Committee for the DMH’s Loan Assumption Program, and the Advisory Panel for Kaiser Permanente’s Research Project on Genes, Environment, and Health. He currently Chairs the Membership Committee for the California Psychological Association and is on the Board of the California Psychology Internship Council (CAPIC). Dr. Wong received his Doctorate from PAU and completed his Internship at Cermak Health Services of Cook County Department of Correction (APA). He is certified in Healthcare Compliance and Ethics, teaches in the Diversity and Community Mental Health proficiency track with an emphasis on administration, policy development, procurement, leadership and advocacy. In his spare time he enjoys intramural volleyball, dragon boating, and mud runs with his interns and trainees.